Star Wars Battlefront II’s multiplayer has some loot box problems but the story campaign, which follows an Imperial special forces squad, is pretty cool. You can watch below as Heather Alexandra and Chris Person play through the early levels. 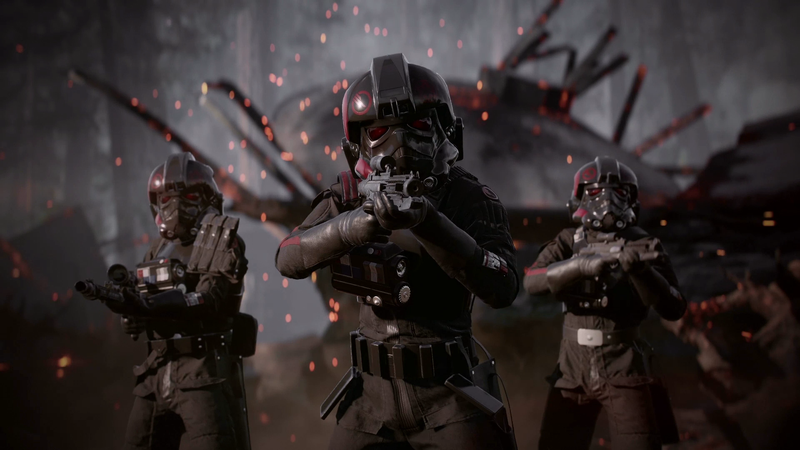 The story campaign focuses on Iden Versio and the members of Inferno Squad before and following the defeat of the Emperor in Return of the Jedi. There’s dramatic boarding action on Alliance cruisers, some dogfighting, and tons of gizmos and blasters. It’s fun and I’ll have a full review of the game, including the story, in the next week.